I’m a week late to celebrate the Mexican holiday of Cinco de Mayo, but this Mexican native shows no signs of finishing its fiesta of color. 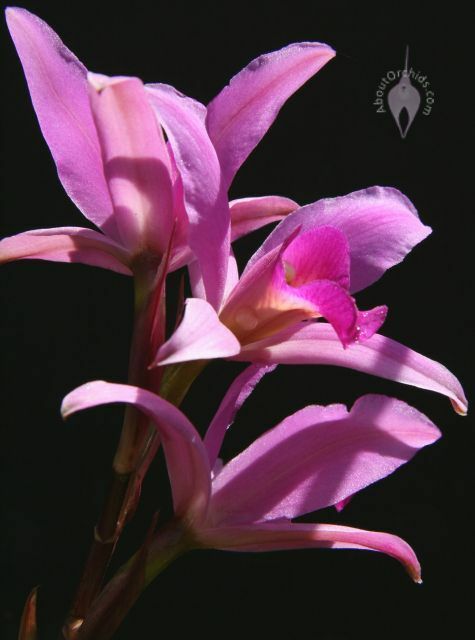 Laelia anceps is a Cattleya relative that’s easy to grow, and one of the toughest orchids around. It holds its large, star-shaped flowers high up on flower spikes that can reach over 39 inches (1 m) tall. 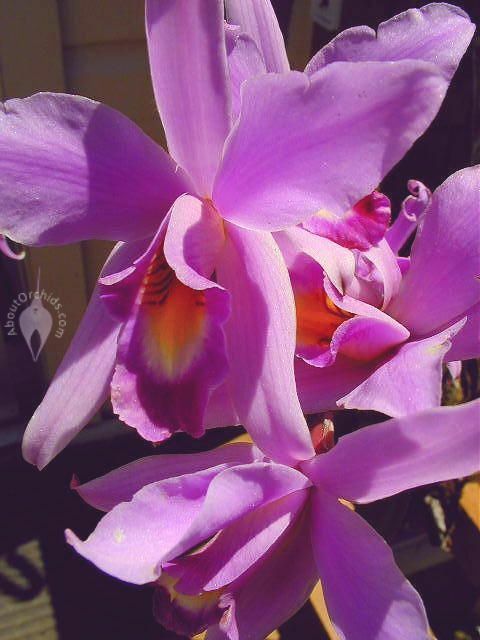 Although my plant has purple flowers, this orchid species has numerous color varieties, including shades of white, pink, and lavender. 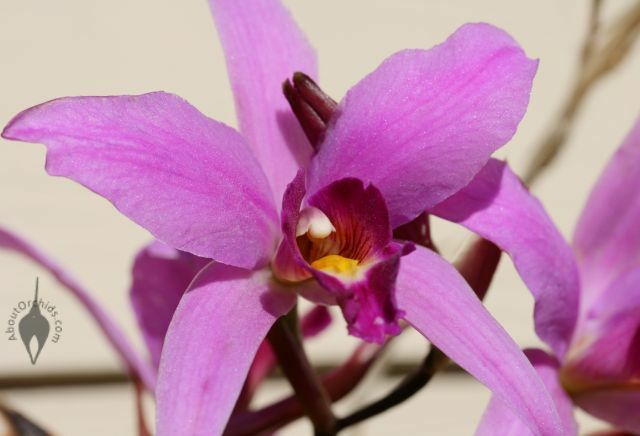 Since it’s such an easy and attractive orchid, it’s no surprise that Laelia anceps is often used as a parent plant in hybrid creation. 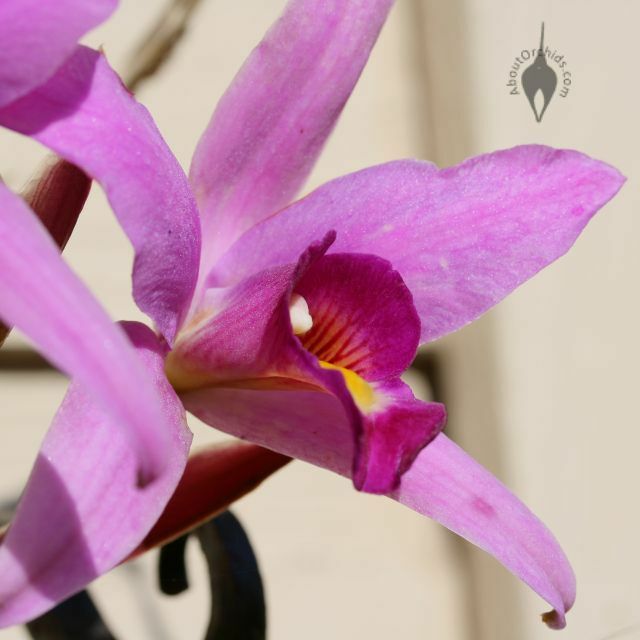 Within its native range in Mexico, this Laelia lives in varied environments. 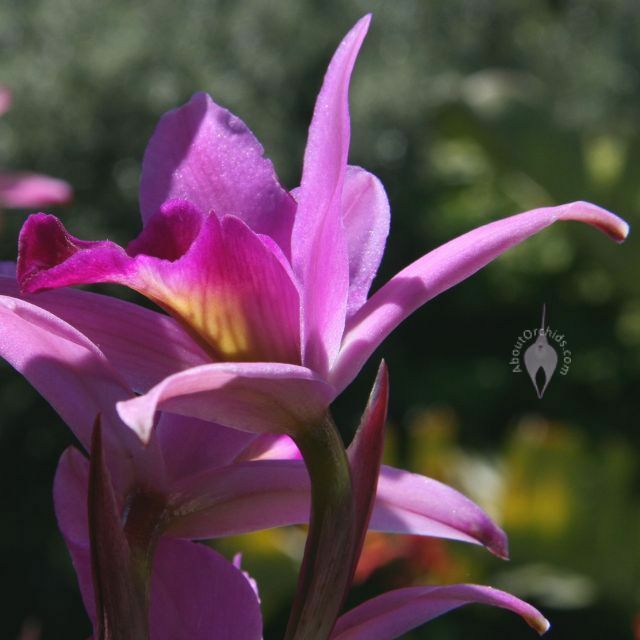 Unlike other orchid species that require exacting conditions, this orchid grows in both hot, dry climates and cool, wet environments. It can also survive in a range of light levels from shady to sunny. In the wild, it often grows as a lithophyte, with roots attached to rocks and cliff faces. Here in San Francisco, I keep mine outdoors all year, where it receives full afternoon sun. It does require a drier winter dormancy to bloom well. 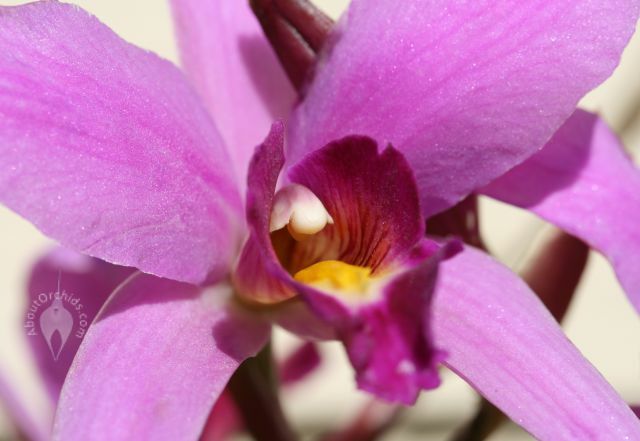 Besides being able to tolerate a wide range of conditions, this tough orchid can handle dry air better than most, so high humidity is not essential. Mine usually blooms twice a year, so it almost always sports open flowers or emerging flower spikes, adding a perennial touch of Mexican beauty. I guess it’s always ready for a fiesta. 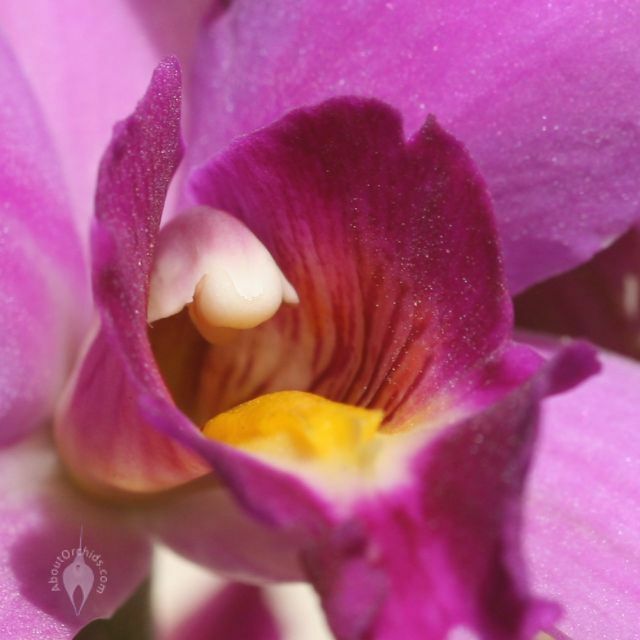 This entry was posted on Tuesday, May 12th, 2009 at 5:56 pm	and is filed under Dormancy, Growing, Intermediate Growers, Orchids in the Wild, Photos. You’re pictures are great! The flowers have a pretty color.